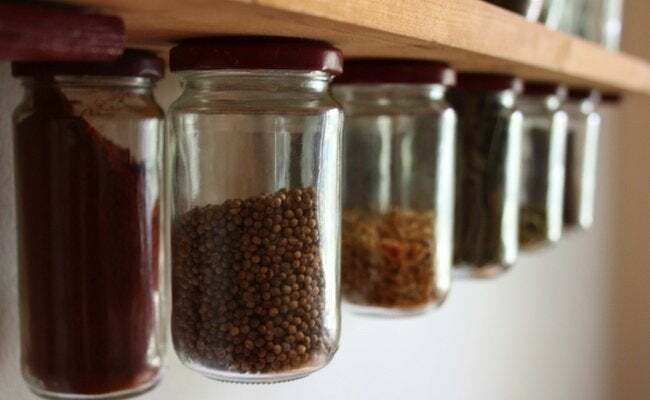 Screwing the tops of glass jars to the underside of a shelf or to a pegboard is an old-school way of organizing lots of little things like screws, nails, buttons, paperclips, rubber bands, etc. Whether you’ve got a tool shop, a craft room, or an office, this simple DIY project could corral all that clutter. 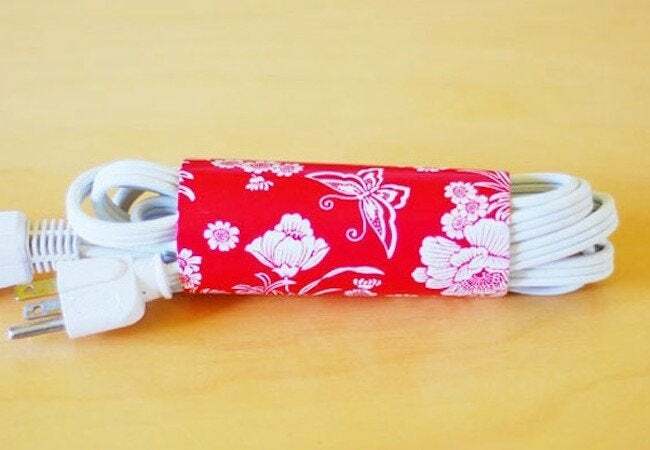 Paper towel and toilet paper rolls can keep the tangle of extension cords from consuming you. You can leave them plain or pretty them up with wrapping or contact paper. 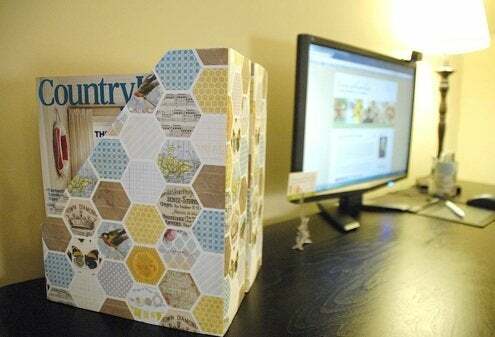 A cereal box, cut and decorated with wrapping paper, can package up that stack of old magazines you just can’t bring yourself to put in the recycling bin. Organize them by title or theme. It will make a decorative addition to your desk or countertop. Overwhelmed by plastic grocery bags? Never have one for doggie poop patrol when you need one? Say no more. 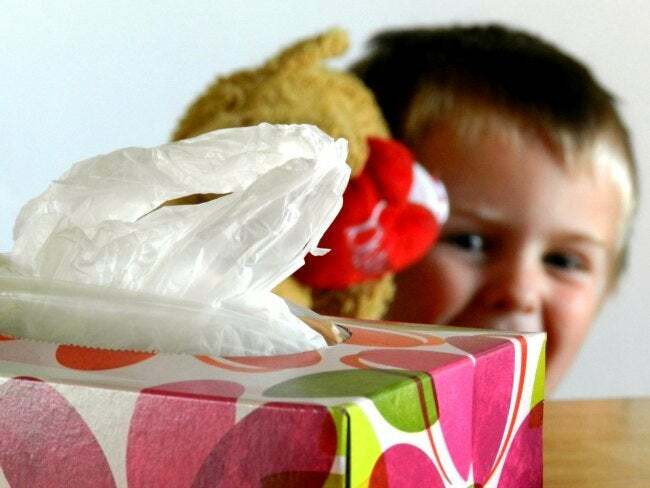 Grab an empty tissue box and stuff them in for the perfect plastic bag dispenser, practically free. You can decorate the tissue box if you want to, though many are already attractive enough as sold. If you don’t have old shutters lying around, you might easily procure one at a salvage yard or garage sale. You can even pick them up at a big box store for about $25/pair. 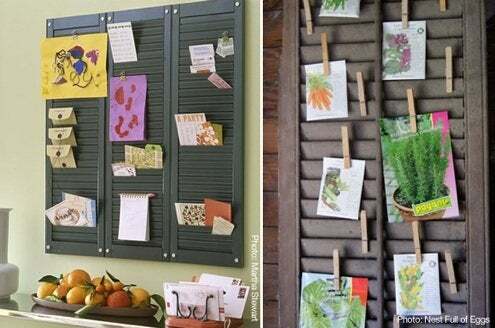 Screwed straight onto the wall and filled with a variety of binder clips or clothespins, shutters make quick work of organizing all those bits of mail and paper that get left on the kitchen counter. When you’re socked in—in the snow, rain, or sweltering heat—take a poke through your garage or recycling bin. See what’s around that you might use to tame the disorder. If you find something fabulous, share it in the comments. Happy organizing!